The Ballestas Islands are one of Peru’s least known highlights, although their proximity to the capital (Lima) means that an overwhelming majority of visitors to the country will end up visiting them nevertheless. One of those rare treats which reveal themselves only upon arrival, the Ballestas are a collection of rocky islets, just a few km off the western coast of Peru. The islands are revered for hosting the ideal habitat for various species of birds and an eclectic mix of larger wildlife like seals, sea lions and Humboldt penguins. Come here on a sunny day and you’ll catch glimpses of lazy sea lions making siesta, Peruvian Pelicans diving for lunch and countless birds stretching to dry their wings. Add a dolphin or two to accompany you on your boat trip, and groups of Humboldt penguins waddling about, and you’ve got yourself a pretty unforgettable and treasured find with plenty of things to do. The Ballestas are found just outside the perimeter of the Paracas National Reserve, a resplendent salt desert which dramatically plunges right into the South Pacific Ocean. This is by far the most awe-inspiring stretch of the entire Peruvian coastline, and a place no visitor to Peru should miss seeing. The wind-carved vertiginous cliffs are a photographer’s dream. 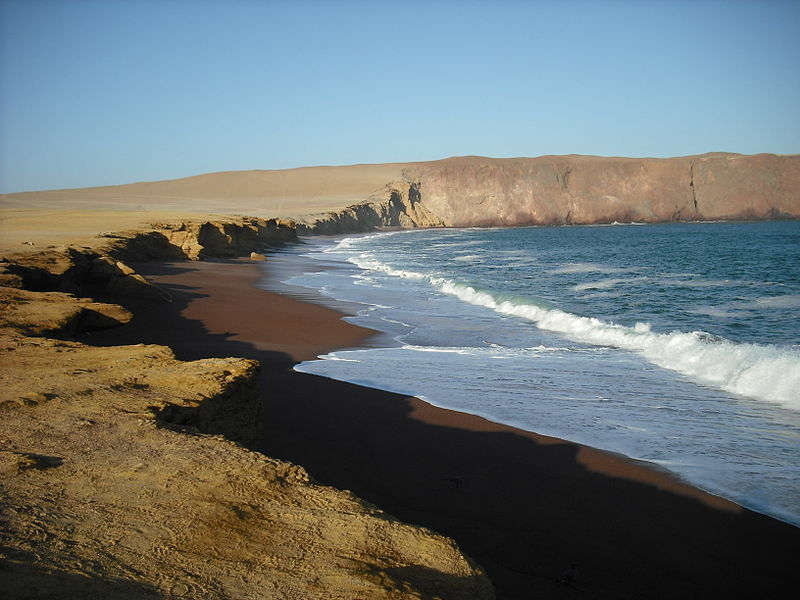 Thanks to Paracas being the access point to the Ballestas Islands, a visit here grants you a sightseeing double-whammy every time-poor visitor to Peru would definitely appreciate. What Are the Best Ballestas Islands Highlights? Birds reign supreme on the Ballestas Islands, with the colonies of resident and migrating birds being so colossal that the government can’t even guarantee an accurate headcount. Among the hundreds of species you’ll spot Peruvian Pelicans, Red-legged Cormorants, Inca Terns, Peruvian boobies (of the aviary kind, naturally) and plenty of penguins too. Over 200 species make yearly migrations, with more than 60 flying north to the Unites States. Dolphins and turtles are also regular visitors to the frigid waters around the Ballestas Islands. What makes the Ballestas bewildering – and all of the area covered by the Paracas Reserve in fact – is that above-ground flora is all but non-existent. This entire region sees very little rain, so nothing grows out here. However, the richness of the region (and the reason why the Ballestas Islands can support this much life) is discovered underwater. Favourable currents spawn over 300 different types of algae, attracting mind-boggling colonies of fish which, in turn, keep all the birds happily fed. 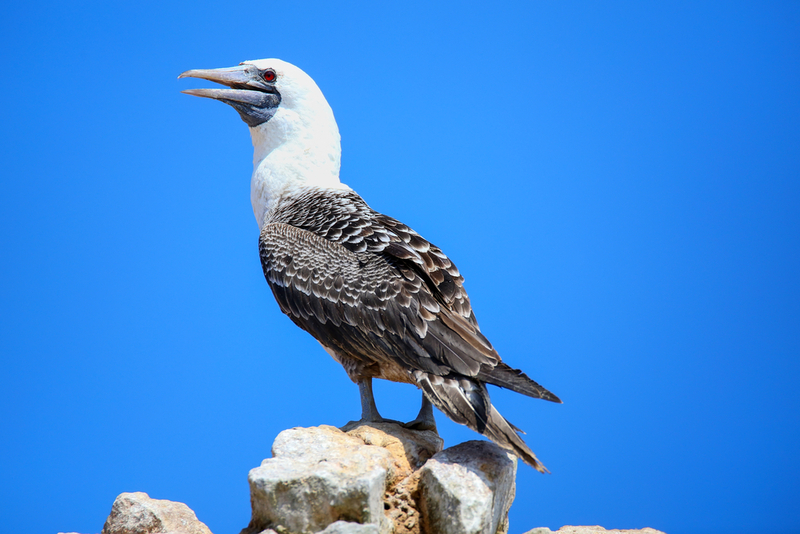 The spectacle of countless birds dive-bombing for their dinner is arguably the main highlight for visitors to the Ballestas Islands, as is the ear piercing echoed fracas created by swarms of bickering birds and sea lions. 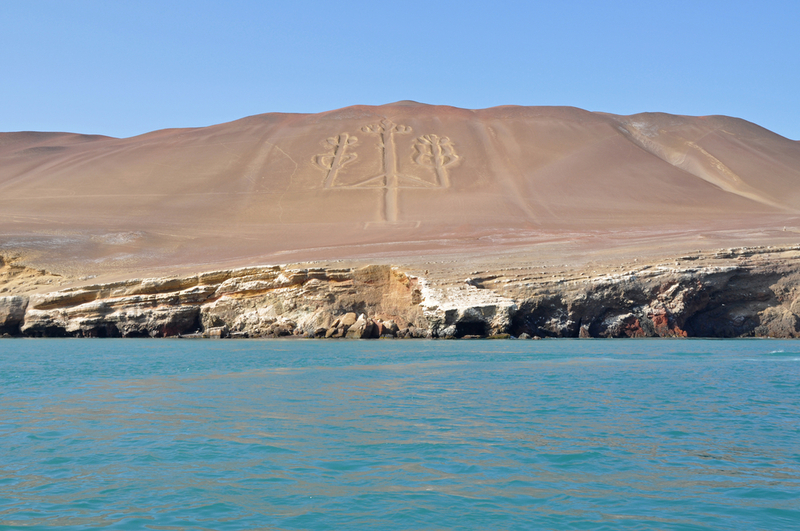 The Paracas National Reserve covers an impressive 330,000 hectares of the Peruvian coastline. Its wind-eroded rock formations are simply amazing and one of the famous ground-carvings of all – the Candelabro – remains a mystery to this day. You’ll see plenty of these hidden treasures on your boat trip around the Ballestas Islands. The reserve is one of the country’s premier kitesurfing destinations (it is crazy windy out here!) and inland dunes attract sand-boarders and buggy riders en-masse. History lovers ought to note that the Paracas Reserve boasts over 100 archaeological sites and the town itself – also called Paracas – is home to a small but very interesting history museum showcasing artefacts and disturbing but enthralling elongated skulls, all belonging to the ancient Paracas civilization. The town itself may not be the most exciting metropolis you could visit – it is still primarily a fishing village – but it actually does have a few aces up its sleeve, mainly in the foodie scene. As one might expect, the seafood here is phenomenal, so if you’re salivating to try some super-fresh ceviche, here’s your delicious chance. What’s the Best Way to Visit the Ballestas Islands? Paracas is only a 4hr drive south of Lima and 3hr drive north of Nazca, so it’s a near-exact midway point. Both drives are superb actually, with the Lima-Paracas section showcasing the breathtaking arid coastline, and the Paracas-Nazca stretch meandering through the Peruvian desert. 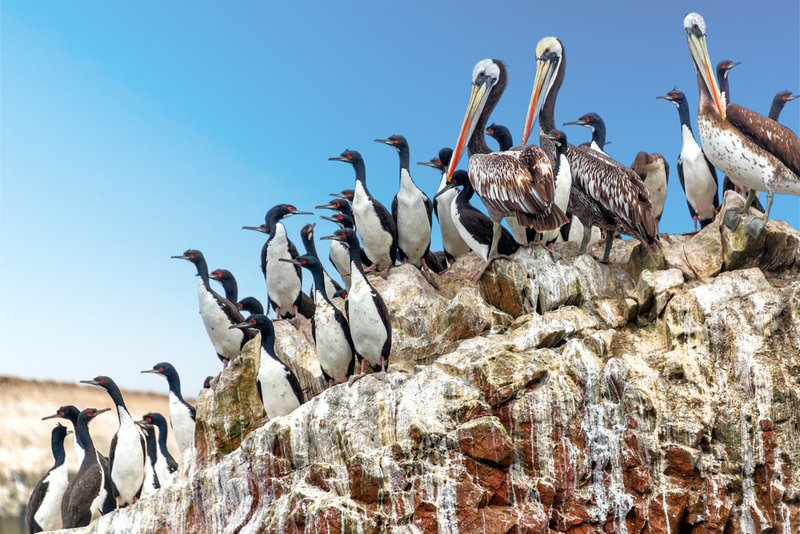 Once in Paracas, you’ll need to hop aboard a boat for a 2-hour wildlife-watching tour. 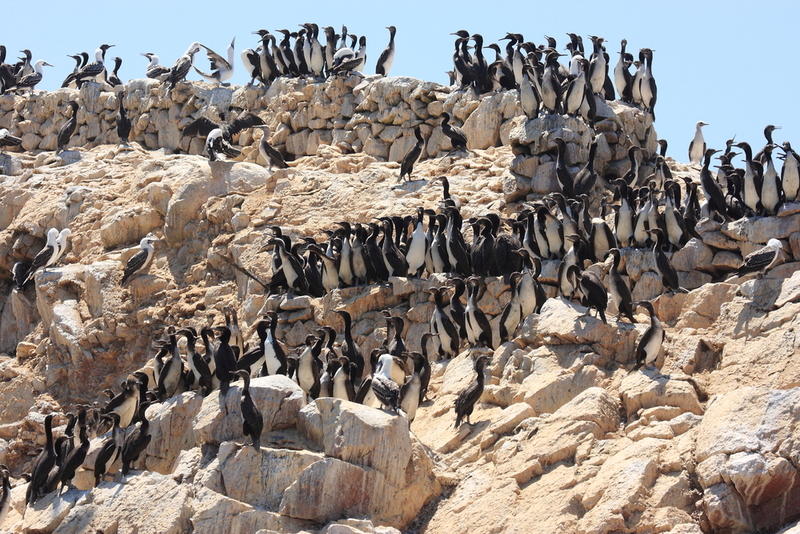 Landing on the Ballestas Islands is not allowed as this region, and its inhabitants, are fiercely protected. How Long Should You Spend in the Ballestas Islands? A one-day visit to Paracas for the sole purpose of visiting the Ballestas Islands is plenty of time, although spending a night here so you can rent a buggy and enjoy some deserty fun would also be quite wicked. Most visitors will plan a round trip of sorts, including the two attractions of the region. A 3-day Nazca Lines tour, for example, includes a flight over the mystical Nazca Lines and a boat trip around the Ballestas Islands. 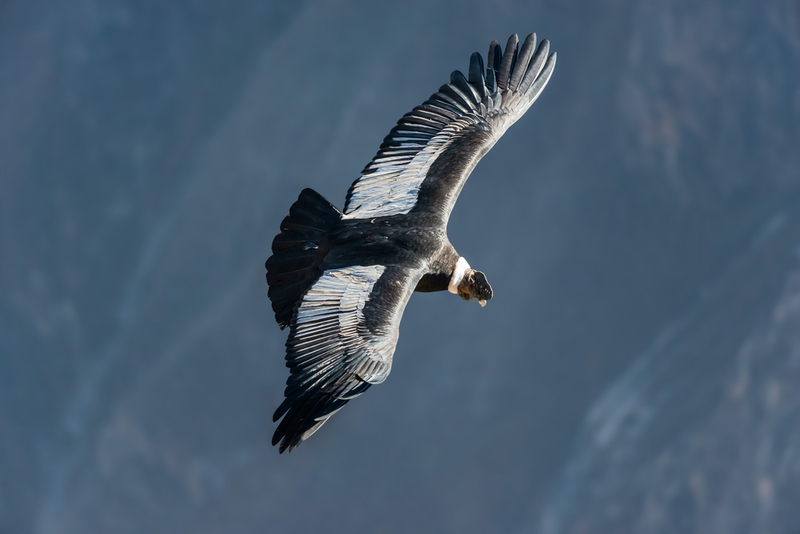 If you have 3 weeks to tour Peru, then you can easily include some sandboarding in Huacachina, a visit to glistening Arequipa and a jaunt to the spellbinding Colca Canyon as well, to watch the majestic Andean Condors in action. What’s the Best Time of Year to Visit the Ballestas Islands? 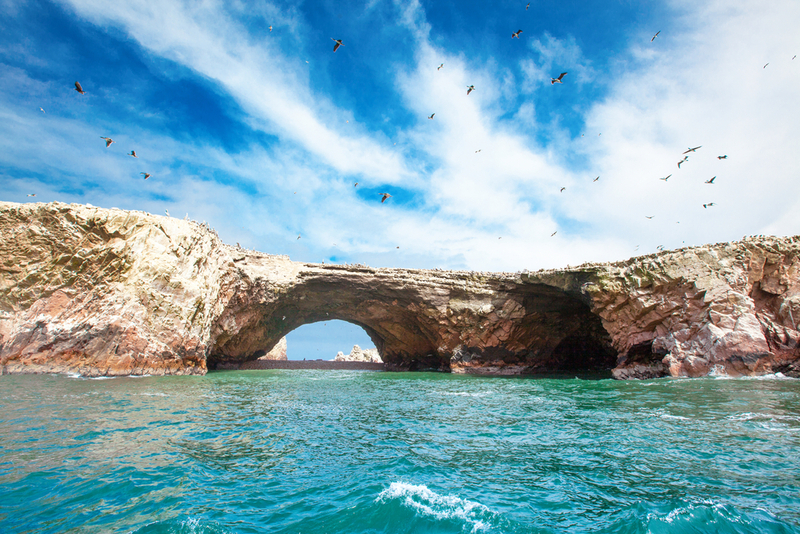 The summer months of December, January and February are perfect for visiting the Ballestas Islands and the Paracas National Reserve, as this region of Peru will enjoy idyllic bright blue skies, dry days and superb views. 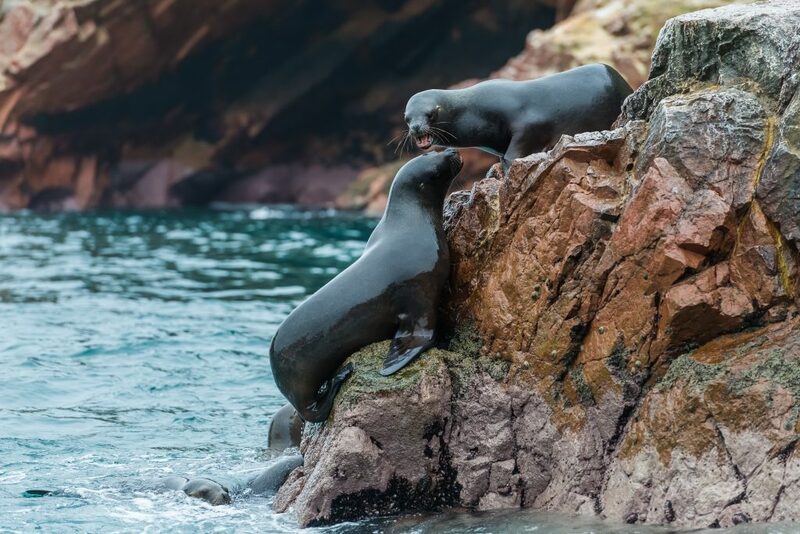 Moreover, sea lion birth season runs from January to March, so if you want to see the islands overrun with the delightful creatures then you’ll definitely want to book your trip for the beginning of the year. What to Pack When Visiting the Ballestas Islands? The two main climate constants of the Ballestas Islands are wind and UV rays, both of which you’ll want protection from. The sun here can be brutal in summer, so slap on plenty of SPF cream before heading out on the boat. Bring a wind and waterproof jacket for the boat ride, as you will likely get splashed from every angle. It does get cool out here, at any time of year, so if you want to bring a fleece in a ziplock bag, you won’t regret it. Actually, a whole change of clothing stored in a waterproof bag could also potentially make your day! And don’t forget the baby wipes. Bird-dropping showers kind of come with the territory in this region of Peru. Looking for Peru tour experts? Well, well, wouldn’t you know it…you’ve landed on the right page! Here at Chimu Adventures we are soooo in the Peruvian-know that we literally salivate every time we see a guinea pig, really! We organise whirlwind trips through some of the most enticing destinations throughout Latin America, and can whip up a tailor-made itinerary that’ll tickle your fancy like no other tour company ever could. That’s our promise to you! Check out our Peru Tours and contact us for any further info.